Barcelona is a shopper’s nirvana, but unless you know where you’re going it’s all too easy to end up ploughing the major furrows, flanked on either side by the same high street brands you get back home. Barcelona Luxury Shopping Tours get you away from the H&Ms and Zaras of this world and deliver you into the folds (quite literally) of Barcelona’s hottest independent fashion designers – and that’s just for starters. 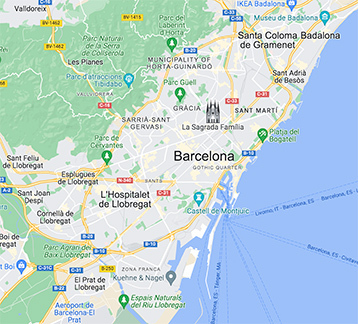 With the help of your very own personal shopper and trend guru you’ll explore the antique and vintage stores of the Gothic Quarter, the hip boutiques of El Born and Raval and the upscale appointment-only showrooms of the creme-de-la-creme of Barcelona’s designers. These shopping tours are extremely flexible and tailored to your taste, so whether you’re all about the look of luxury, film-star glamour or that individual street vibe you’ll be taken to the places you’re dying to discover. The focus needn’t be on your wardrobe either – antiques, handicrafts and contemporary design workshops can dictate your itinerary. To book your own personal shopping assistant for your Barcelona spending spree just email us on info@barcelona-life.com with any enquiries.